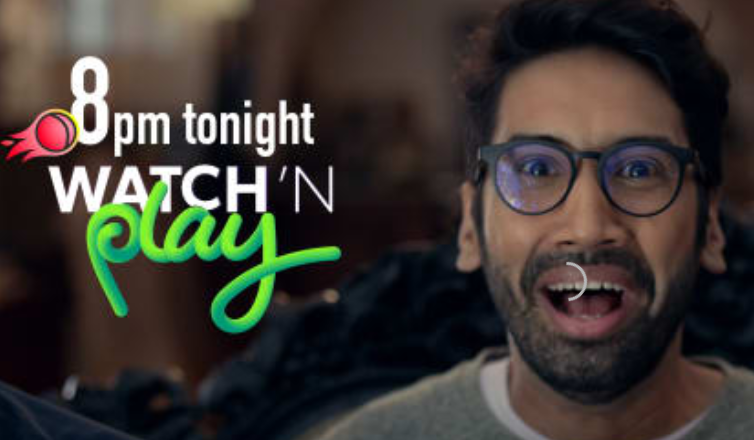 Phonepe Hotstar Offer: Hey Guys, did you checked out bigtricks IPL Live Streaming? if not Check it Now You Can Watch Live IPL Match for Free on i.bigtricks .in. 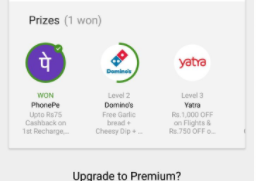 This IPL Season Hotstar is Offering Lot’s of Prizes for Just Predicting Runs on next ball in Watch n Play Game.You can Earn Grand Prizes like Mahindra SUV & Phonepe Cashback Offer on Reaching Level 1.
here we are talking about Phonepe Hotstar Offer, Hotstar is Offering Rs.75 Cashback offer for Phonepe Users on just Answering 2-3 Questions.Once You Predict 2 or 3 balls, You are elegible to Redeem Phonepe Cashback Offer. 1.Download Hotstar App from Here & Phonepe App From here. 3.Now at the Showtime You will be Asked Questions on every ball, Answer the Questions & Collect Points. 5.Now Click on Get Prize >> Enter Your Registered Phonepe Number and The Offer will be Activated on Your Phonepe Account. 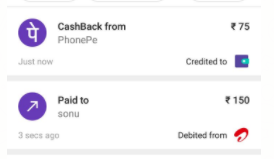 6.Now Transfer Rs.150 or More to Any of Your Phonepe Friend or Yourself. 7.Once You transfer You will Get Rs.75 Cashback instantly. Users who complete Level 1 of the Game on Hotstar and enroll with their mobile number will be eligible for the offer. 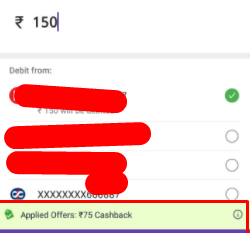 For users paying through UPI, cashback will be valid only if the transaction is processed through “@ybl” VPA handle or through PhonePe linked bank account & complete the transaction within the PhonePe app. Where can I use the cashback?